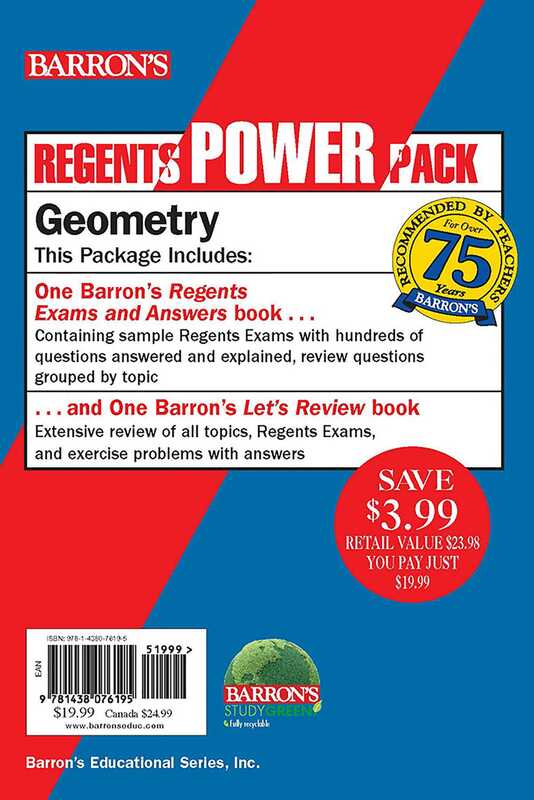 Barron’s two-book Geometry Power Pack provides comprehensive review, actual administered exams, and practice questions to help students prepare for the Geometry Regents exam. Topics covered include basic geometric relationships (parallel lines, polygons, and triangle relationships), an introduction to geometric proof transformations, similarity and right triangle trigonometry, parallelograms, and volume (modeling 3-D shapes in practice applications). More books from this author: Andre Castagna Ph.D.